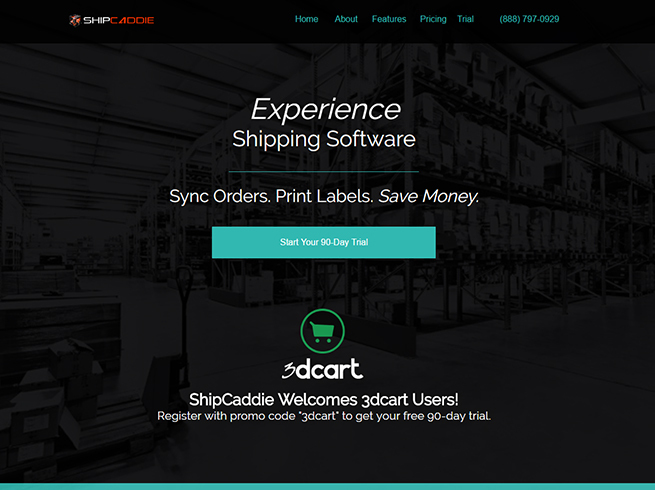 ShipCaddie is the easiest-to-use, web-based shipping software. 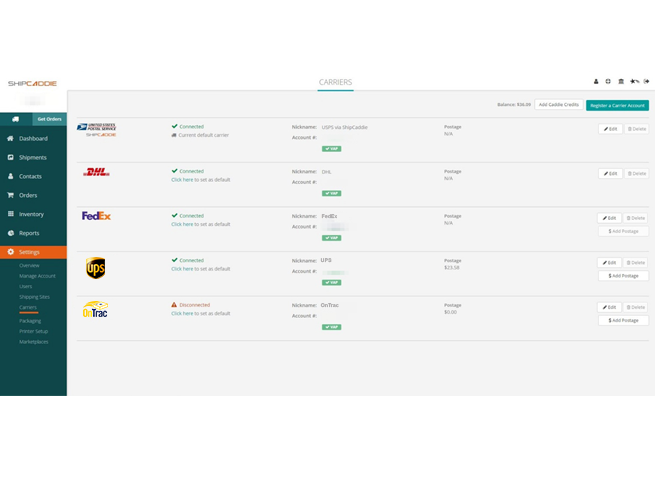 Manage your orders from any marketplace and ship reliably at lower costs to customers all over the globe. Start your 90-day trial today! SHIP EASIER. SHIP CHEAPER. SHIP SMARTER. 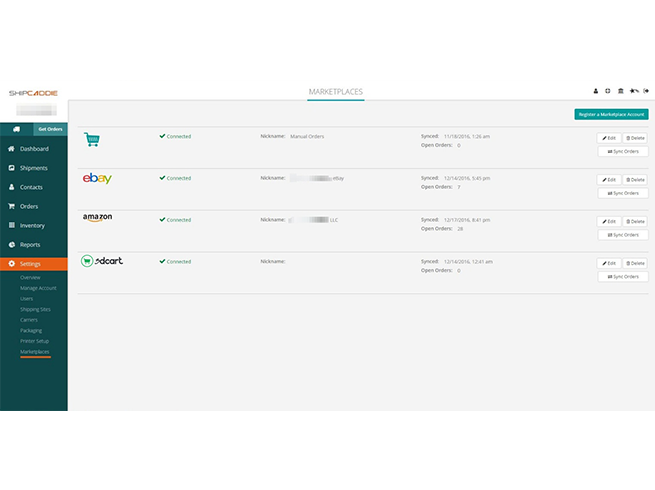 Sync your orders from anywhere--Amazon, eBay, Etsy, 3dCart and more. 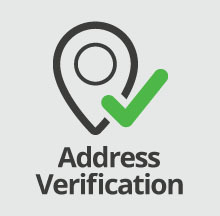 Click, print, ship with FedEx, UPS, USPS, DHL, OnTrac and others! 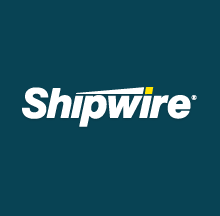 Compare shipping solutions using ShipCaddie's Rate Analyzer and data tools. No robots or call trees. Just shipping experts to answer questions and solve problems. 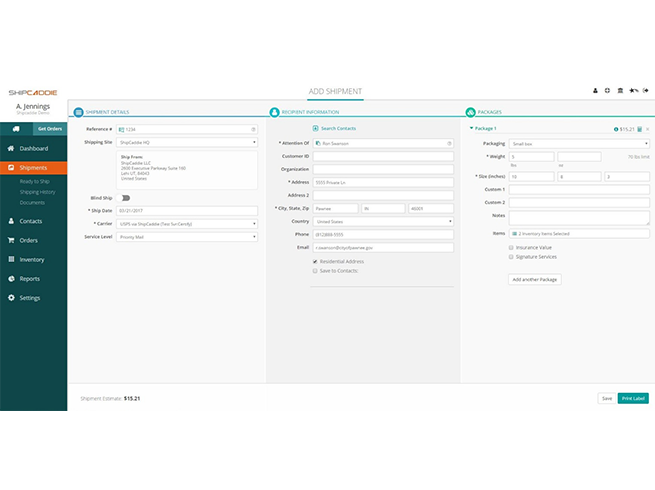 EASY SHIPPING | Multi-carrier, multi-channel shipping management with batch processing & printing. CHEAPER SHIPPING | Discounted rates and first-of-its-kind Loyalty Rewards Program. SMARTER SHIPPING | Monitor data, produce reports and make well-informed decisions on the fly. ASSURED SHIPPING | Live experts review and optimize your shipping programs to enhance cost savings and customer experience. Easy to print, discounted USPS shipping labels (save up to 46%) or plug in your FedEx, UPS account. FREE plan, no per label fee. Best service.